Miguel Angel Moreno, 18, is charged with homicide and related offenses in the shooting death of Teshon Malloy, 23, in Chester Saturday night. One man is dead and one is charged with homicide following a fight between two women that prompted a brother of one of them to allegedly pull out a gun and start shooting Saturday night in the city of Chester, police said. 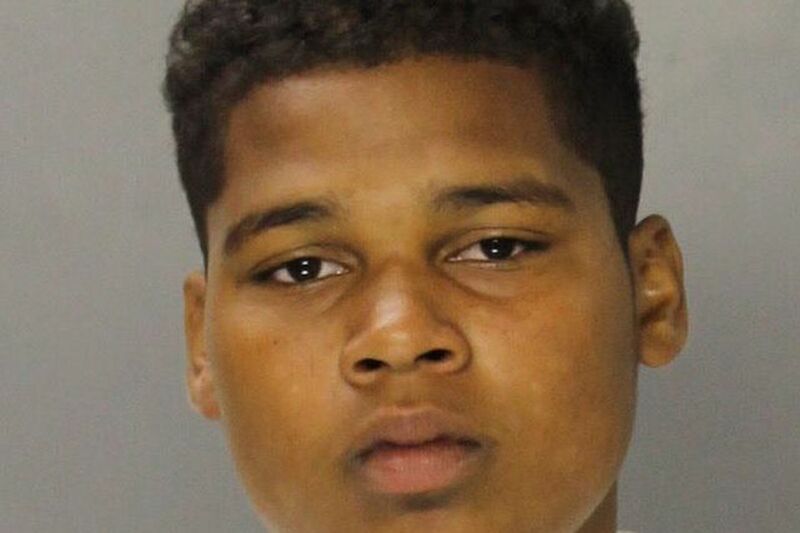 According to an affidavit of probable cause, Miguel Moreno, 18, of Chester, fired several shots at Teshon Malloy shortly before 5 p.m. when Malloy tried to break up the fight between his girlfriend, Ayan Jackson, and Moreno's sister Ada at Thomas and Terrill Streets. When police and paramedics arrived at 4:52 p.m., they found Malloy, 23, lying in the street shot twice in the head, four times in the torso, and one time each in the left arm, right arm and left calf. He was pronounced dead six minutes later. The intersection of Thomas and Terrill Streets in the city of Chester was the scene of a fight that turned into a shooting Saturday night resulting in the death of Teshon Malloy, 23, and the arrest of Miguel Angel Moreno, 18, on homicide and related offenses. Jackson later told police, according to the affidavit, that Malloy tried to stop her fight with Ada Moreno. Jackson said she fell to the ground and then heard gunshots. When she looked up, she told police, she saw Miguel Moreno holding a handgun and firing at Malloy. Later in the evening, Miguel Moreno told an acquaintance "I just killed someone," according to the affidavit. Around 3:20 a.m. Sunday, Miguel Moreno, accompanied by his mother and an aunt, turned himself in to police but refused to be interviewed, police said. Moreno has been charged with criminal homicide, first- and third-degree murder, possessing instruments of crime, and carrying an unlicensed firearm. He is being held in Delaware County Prison to await a preliminary hearing.